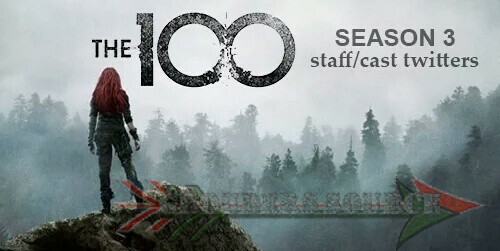 o days from the much anticipated premiere of The 100‘s third season, social media has been ABUZZ with fan and cast frenzy. It will only elevate when Thursday night comes around, and many more after the 21st. 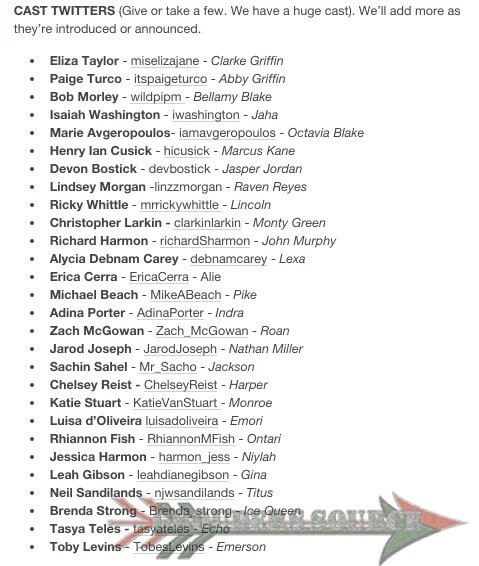 Layne Morgan, the PA for The 100, has posted the cast and writers’ Twitter handles so that people can easily follow and initiate. I have the handles here, in case anyone missed it. 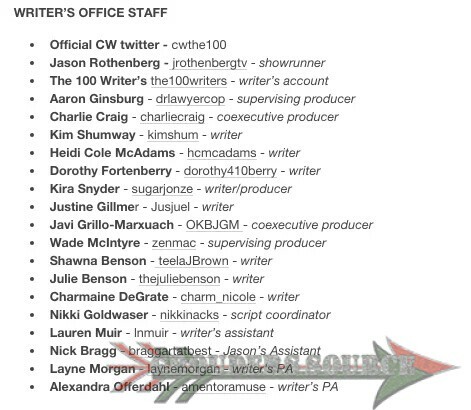 Grounders Source will also be participating in the live tweeting, and in case that you do not know the handle, it is GroundersSource. In addition, there is also an exclusive hashtag to be used during the tweeting events, and it is #100GSLT. This is for connection purposes, and hopefully it will trend. Hey, it happened during season two, so I am not worried. Keep in mind that spoilers will be leaked, but I won’t do that myself. I don’t want to ruin the suspense and fun! I also have a few pointers for fun and safe tweeting sessions. BE KIND, NICE, AND COURTEOUS TO EVERYONE, FANS, CAST, AND CREW. Do not be offensive or sexually objectifying. Or harass anyone. Respect all opinions, even if you disagree. If someone is being mean to you, simply ignore or mute them. Block when absolutely necessary. All in all, have fun and enjoy! 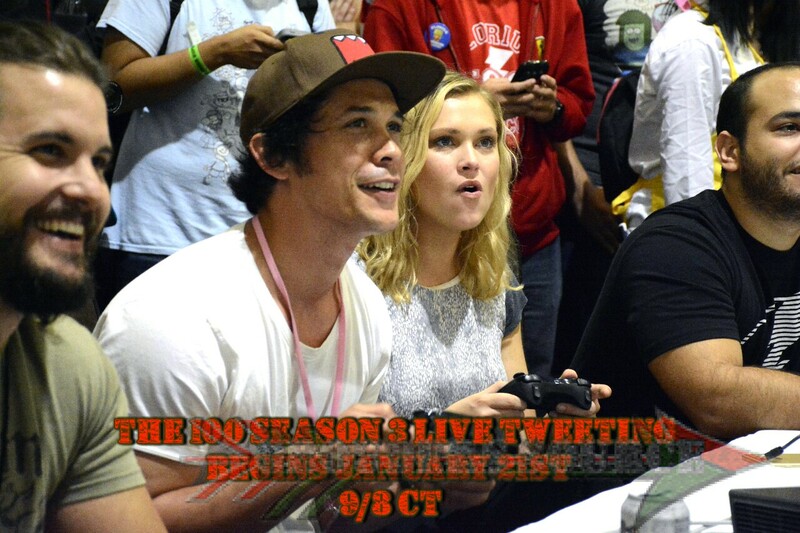 I hope that you will be joining us for the live tweeting! If so, see you then!